Sugandhi is the most lovely brand of Sambrani and if you come to the Pii home you’ll smell it almost immediately. 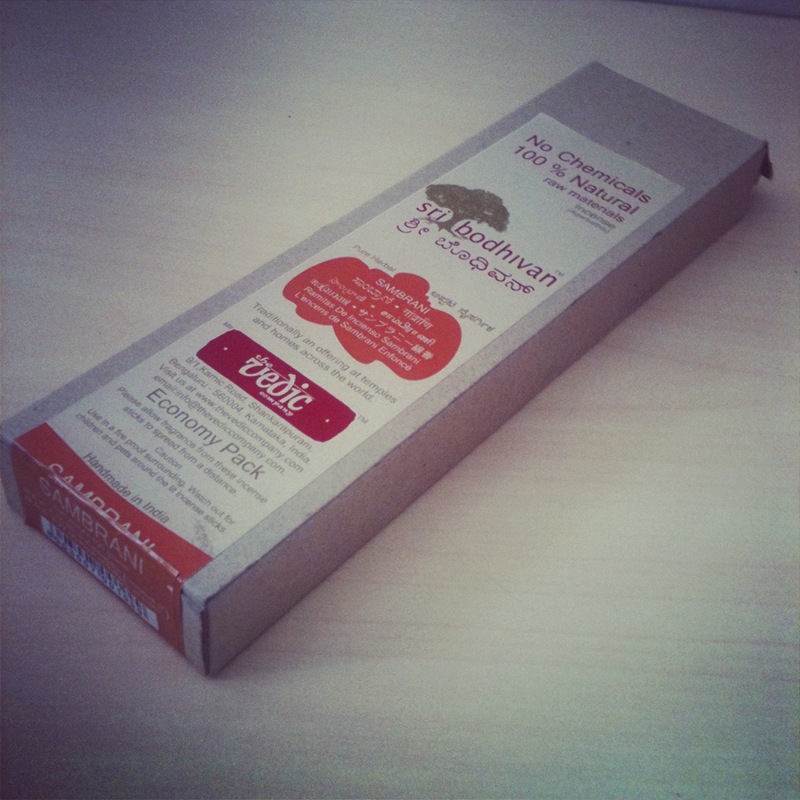 The packaging is just as divine as the scent. Something very India and lorry-art’ish about the colours. Here’s a lovely blog post about sambrani and here’s someone you’ll see a lot on Bollywood movie sets. 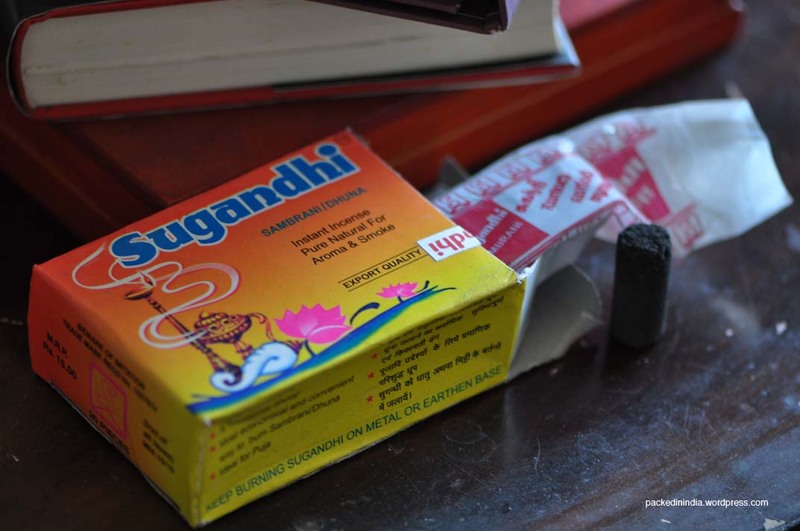 Sugandhi is available at stores all over India and here. 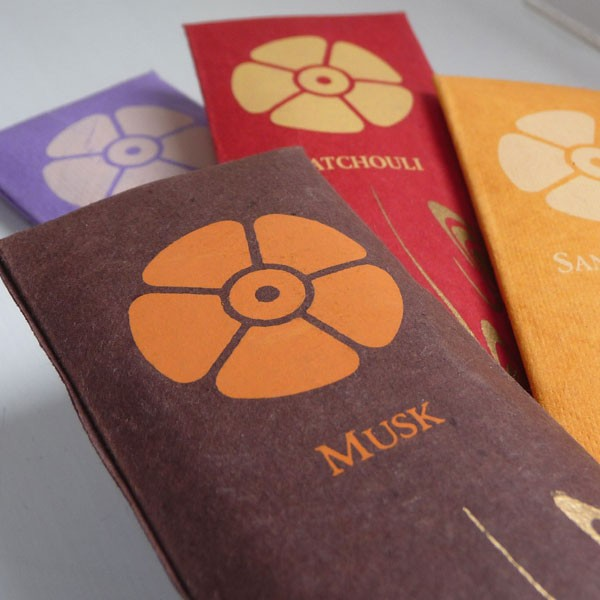 Sri Bodhivan Sambrani (incense sticks) uses classic brown cardboard packaging with a thinner brown paper label. Use of earth tones and not-so-laboured-over branding and copy makes this as simple as the fragrance inside. 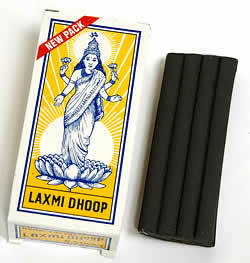 Lakshmi dhoop comes as kitsch as it gets in a tiny rectangle of lemon yellow and ink blue. Open it to get the dhoop sticks out (they come as cones too at times). Now light the tip, blow it out and let it simmer into wispy, pious curls that will get the goddess out of heaven and into your home. Nope, just kidding. But it does clear the aura in your home. Promise.